LinkedIn, the social network/business network site, forecast full-year revenues of $2.06 billion and $2.08 billion dollars, lower than the Wall Street estimate of $2.1 billion dollars. In addition, the company reported a loss $13.4 million dollars for the first quarter of 2014, compared with a $22.6 million profit one year ago. This resulted in a 6% loss in value. The stock closed on Friday at $147.73, down $13.49. Since the beginning of the year, LinkedIn shares have plummeted 25%. As I have written on a number of occasions, the fundamentals of social networking sites are fundamentally flawed. Like many other stocks, the prices are based solely on speculation. There is absolutely no relationship between profits and value which means the stock prices aren’t supported except by business confidence. A company can not lose $13 million dollars and be worth billions. That math doesn’t add up no matter what speculators may say. Facebook, Twitter, LinkedIn and many others are a figment of everyone’s imagination. 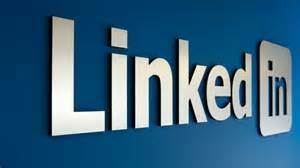 LinkedIn makes money by premium subscriptions, marketing and advertising. All of which are weak in today’s economy and growing weaker. Twitter also relies on advertising as its main source of revenue. That’s insane. These stocks will probably not exist in 20 or even 10 years. If Facebook becomes “uncool” or people simply lose interest, it’s over. THEY PRODUCE NOTHING AND ARE NOT NECESSARY! For example, Boeing builds airplanes and we can’t fly to Europe without them. Rolls Royce builds engines that keep planes flying. General Electric also builds jet engines and light bulbs and many other products that we need and use everyday. Banks loan money so people can buy homes and cars. But with or without LinkedIn, people will find new jobs and will still communicate. When these stocks collapse and they will, let’s not pretend we didn’t see it coming. If Lehman Brothers and Bear Sterns could fold, all of the social sites, certainly can go under. Unless they drastically change what they are and how they earn revenues, it’s not a matter of if…it’s a matter of when.